Many people choose to pass assets to the next generation during life, whether to reduce the size of their taxable estate, to help out family members, or simply to see their loved ones enjoy the gifts. If you’re considering lifetime gifts, be aware that which assets you give can produce substantially different tax consequences. Federal gift and estate taxes generally apply at a rate of 40% to transfers in excess of your available gift and estate tax exemption. Under the Tax Cuts and Jobs Act, the exemption has approximately doubled through 2025. For 2018, it’s $11.18 million (twice that for married couples with proper estate planning strategies in place). Even if your estate isn’t large enough for gift and estate taxes to currently be a concern, there are income tax consequences to consider. Plus, the gift and estate tax exemption is scheduled to drop back to an inflation-adjusted $5 million in 2026. If your estate is large enough that estate tax is a concern, consider gifting property with the greatest future appreciation potential. You’ll remove that future appreciation from your taxable estate. If estate tax isn’t a concern, your family may be better off tax-wise if you hold on to the property and let it appreciate in your hands. At your death, the property’s value for income tax purposes will be “stepped up” to fair market value. This means that, if your heirs sell the property, they won’t have to pay any income tax on the appreciation that occurred during your life. Even if estate tax is a concern, you should compare the potential estate tax savings from gifting the property now to the potential income tax savings for your heirs if you hold on to the property. You can save income tax for your heirs by gifting property that hasn’t appreciated significantly while you’ve owned it. The beneficiary can sell the property at a minimal income tax cost. On the other hand, hold on to property that has already appreciated significantly so that your heirs can enjoy the step-up in basis at your death. If they sell the property shortly after your death, before it’s had time to appreciate much more, they’ll owe no or minimal income tax on the sale. Don’t gift property that’s declined in value. A better option is generally to sell the property so you can take the tax loss. You can then gift the sale proceeds. Capital losses can offset capital gains, and up to $3,000 of losses can offset other types of income, such as from salary, bonuses, or retirement plan distributions. Excess losses can be carried forward until death. No matter your current net worth, it’s important to choose gifts wisely. 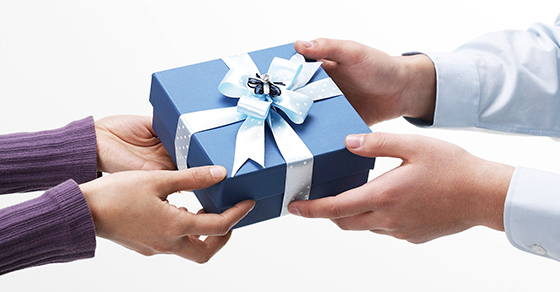 Please contact us to discuss the gift, estate, and income tax consequences of any gifts you’d like to make.